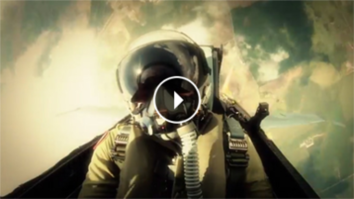 As a jet fighter squadron commander, Lieutenant Colonel Albert J. Amatuzio had ample opportunity to witness synthetic lubricants in action. These oils are used exclusively in jet engines because of three extraordinary performance characteristics: an ability to reduce friction and wear on engine components, an ability to function dependably at severe temperature extremes and an ability to withstand rigorous and lengthy engine operation without chemical breakdown. Recognizing these same benefits would prove invaluable in combustion engines, Amatuzio began conducting serious research in the early 1960s. He soon developed and sold commercially available synthetic oils under a variety of names. The true milestone came in 1972 when AMSOIL became the first synthetic motor oil in the world to meet American Petroleum Institute service requirements. It set all-new standards for motor oil quality and outperformed conventional petroleum motor oils on all counts. It was clear from the start this innovative product would play a major role in redefining the performance capabilities of modern machinery and engines. 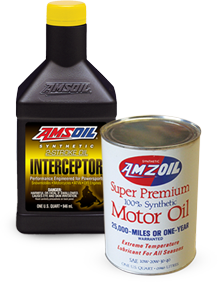 Today, virtually every other motor oil manufacturer has recognized the superiority of synthetic lubricants and has followed the AMSOIL lead with introductions of synthetic motor oils of their own. Accept no substitutes – AMSOIL is The First in Synthetics®.